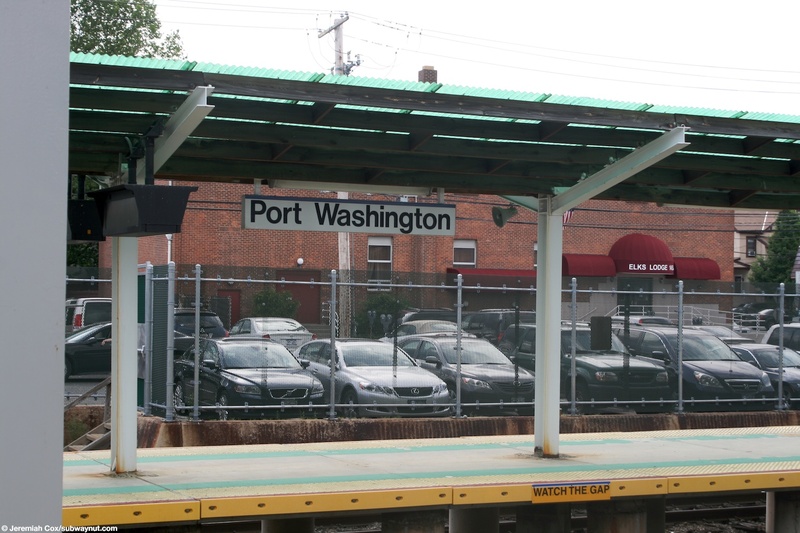 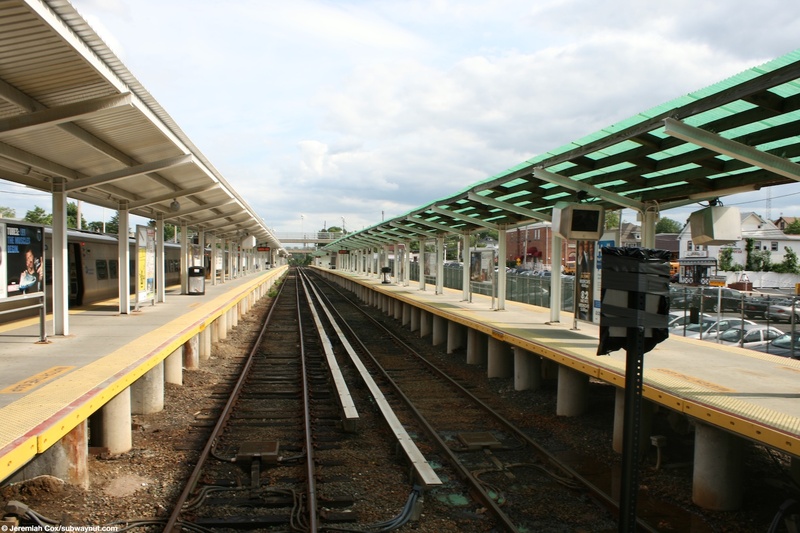 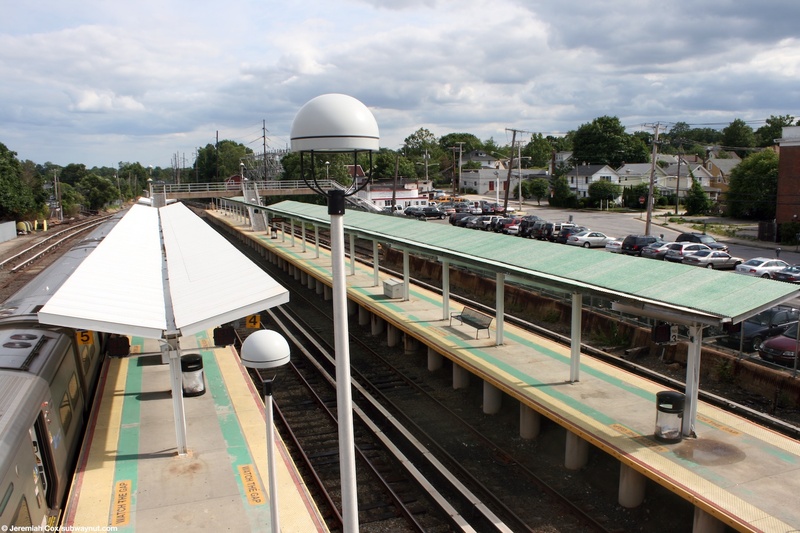 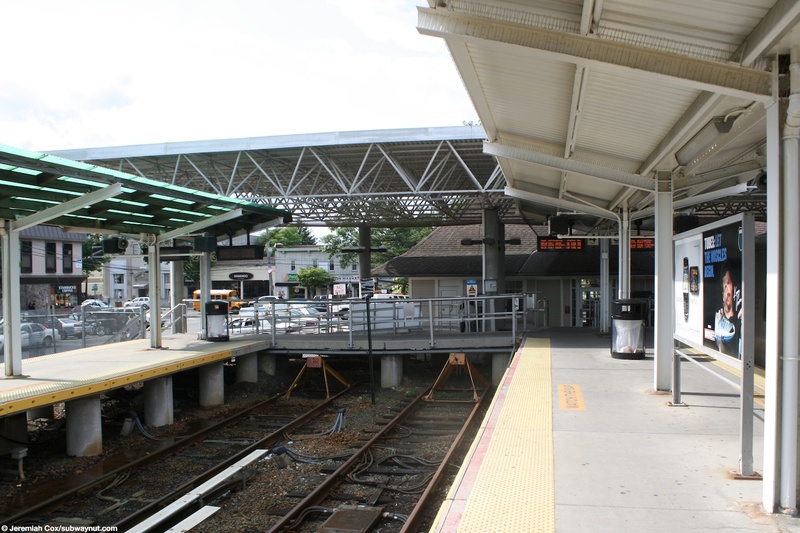 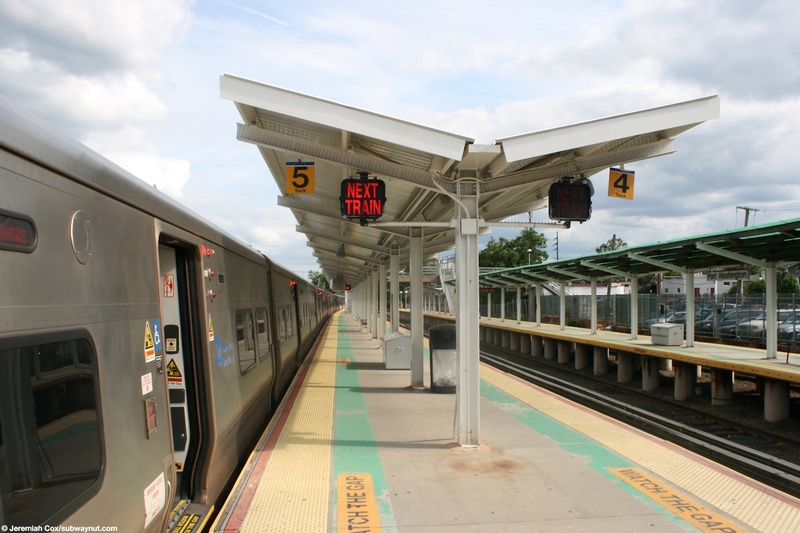 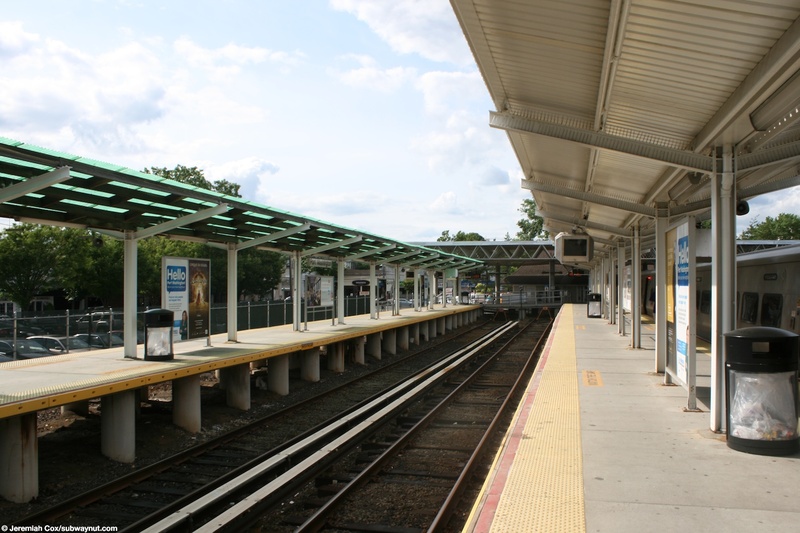 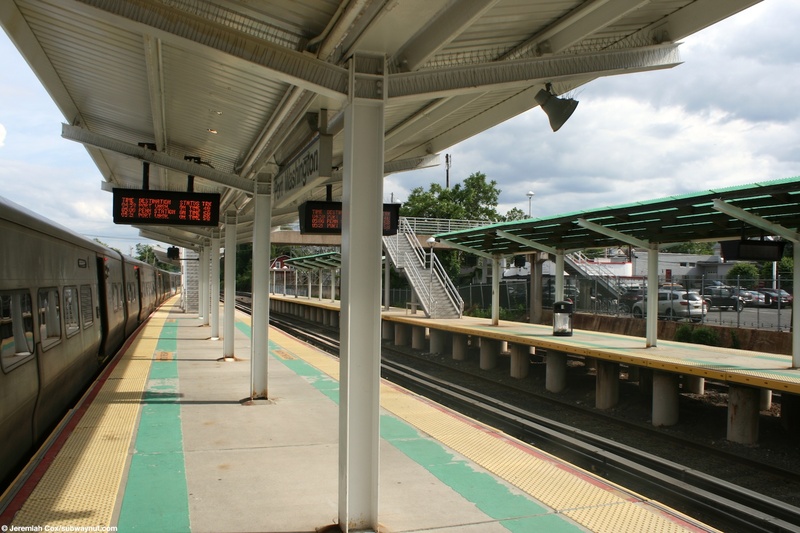 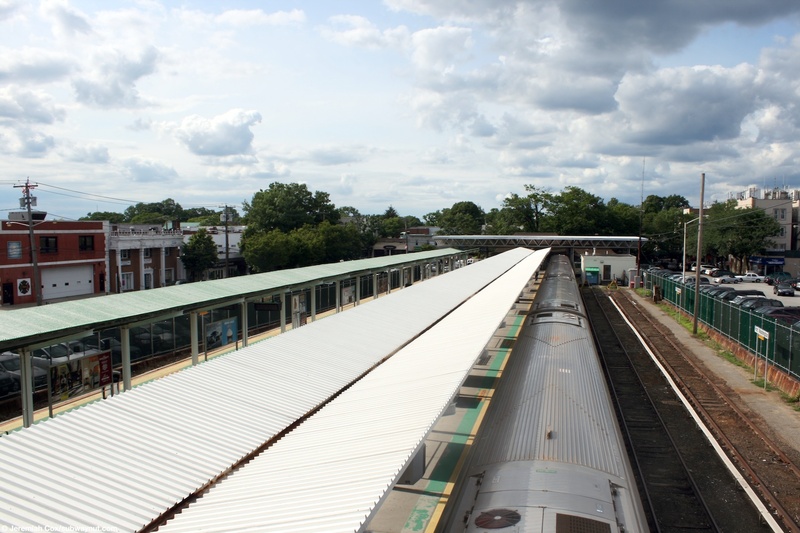 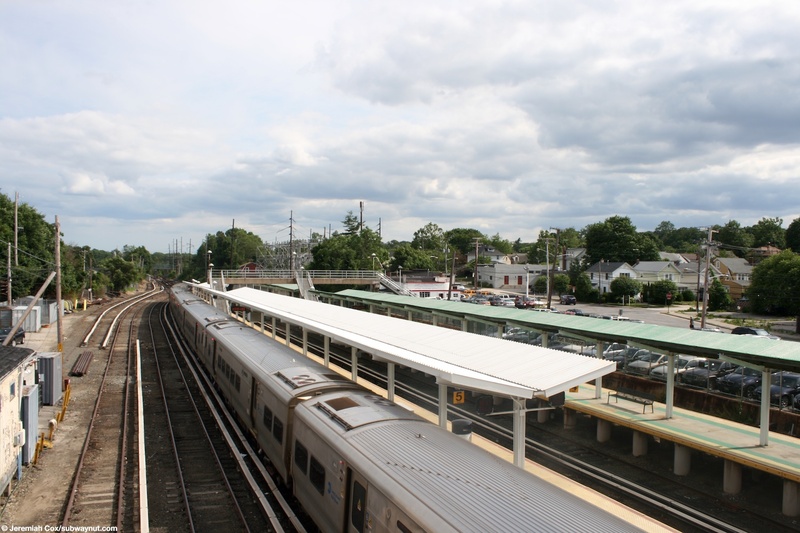 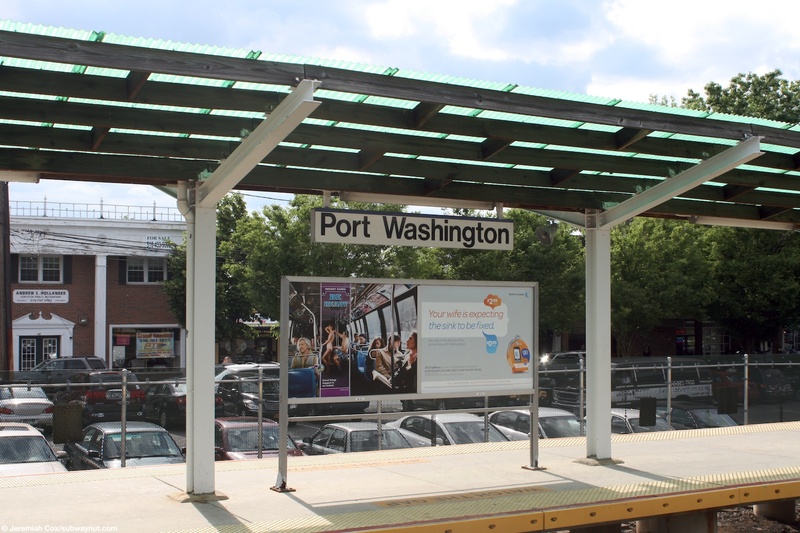 Port Washington is the terminus of the namesake branch and is typical of LIRR terminal stations with a single-tracked line fanning out into a total of 8 tracks for the small train yard, 4 of these platform for the station (tracks 2 through 5) with two island platforms, both platforms have simple canopies with white posts and framing and a green semi-translucent roof for tracks 2 and 3, and white for 4 and 5, for almost their entire lengths, with just a few interruptions. 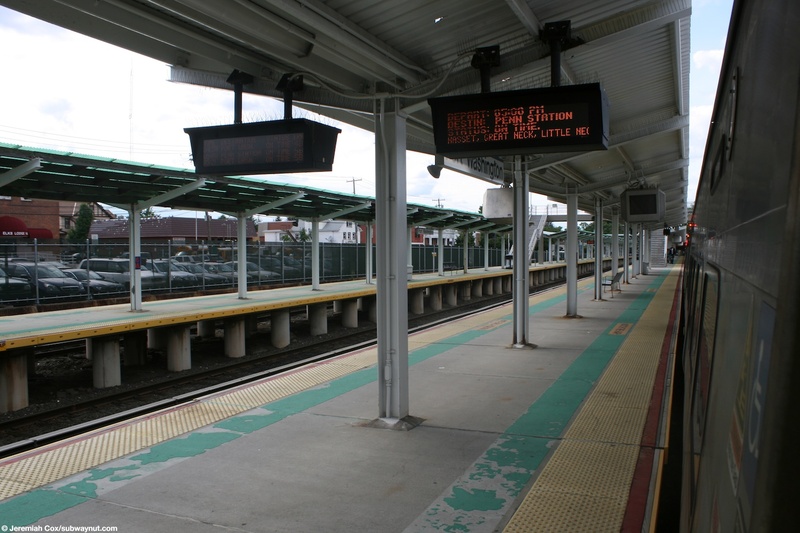 The stop has the standard modern digital train information displays hanging along each track and display in the station house listing all trains (including terminating trains as Port Washington), it also has older Next Train Signs that can be manually illuminated and look light old Don't Walk Signs. 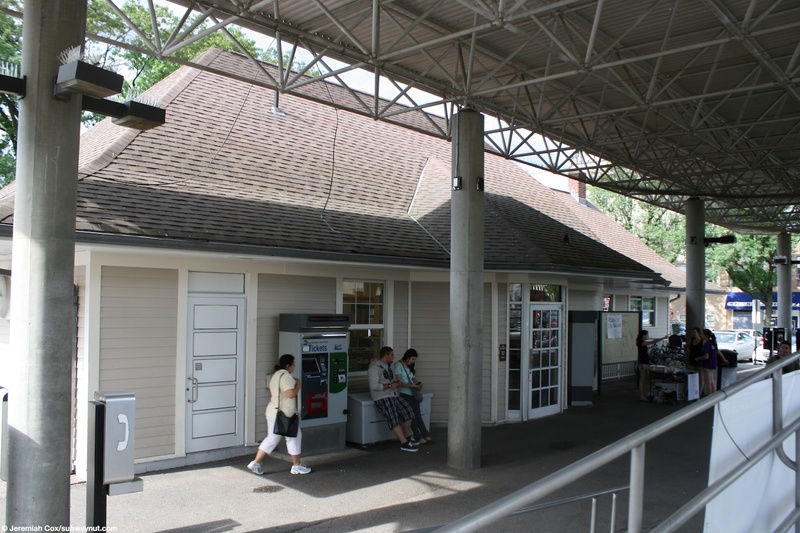 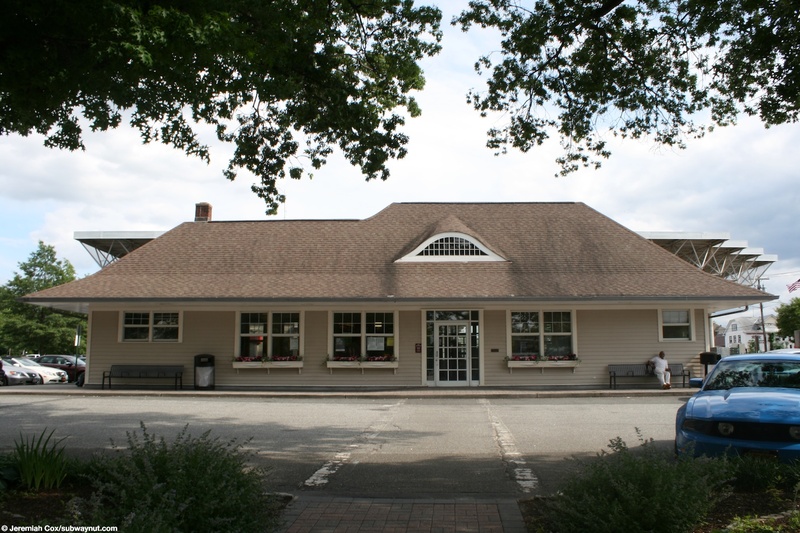 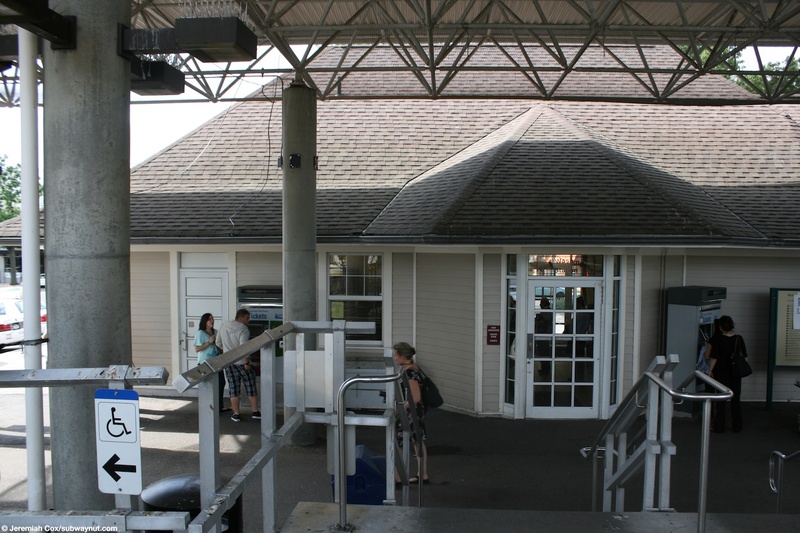 The main way to access the station platforms begins along Main Street where a drop-off/taxi loop ends off of it along with entrances to the parking lots on eitherside of the station, this leads to the single story station house with a high shingled roof, which has a waiting area, ticket window (open for two shifts from 6:10am to 8:45pm every day), and newsstand, this in turn with a high modern canopy structure (where the station's only TVMs are) leads up a ramp and staircases up the platforms beyond the tracks bumper blocks and then the tracks themselves. 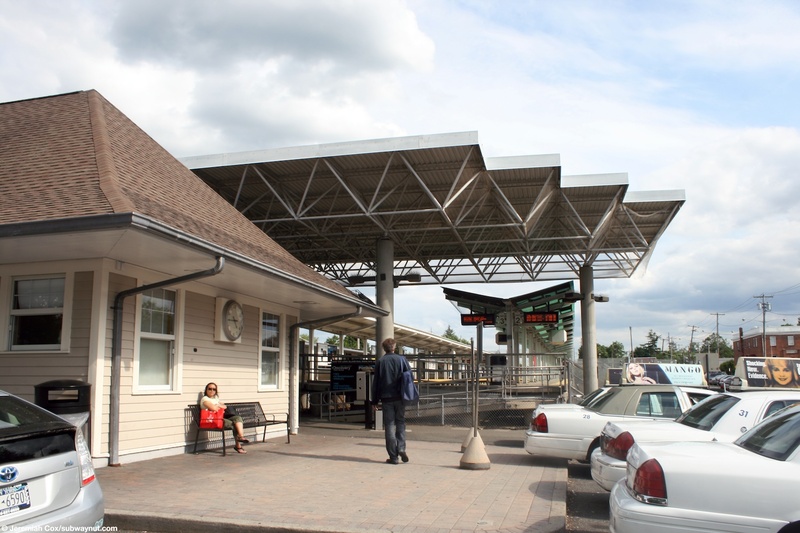 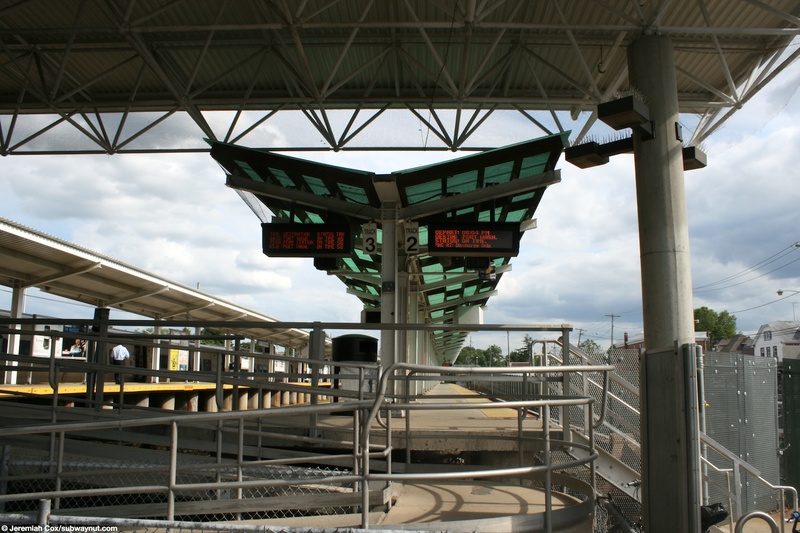 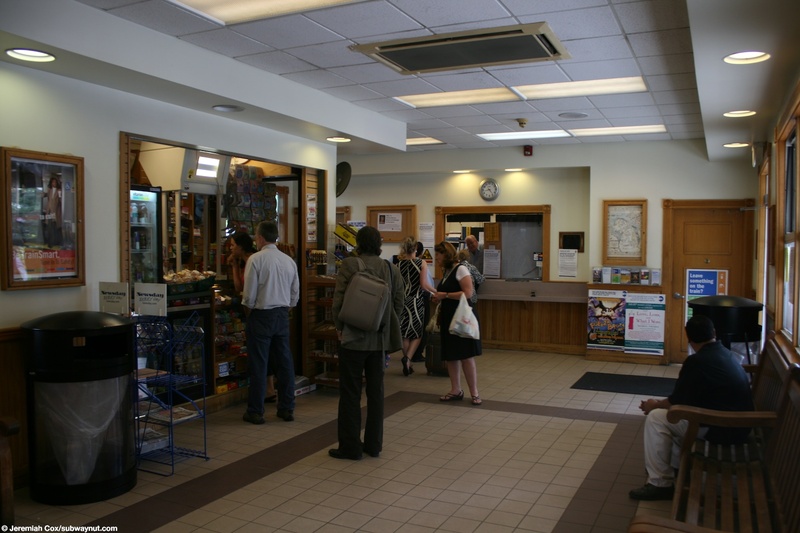 Additional access is provided to the platforms via two pedestrian overpasses to the surrounding parking lots. 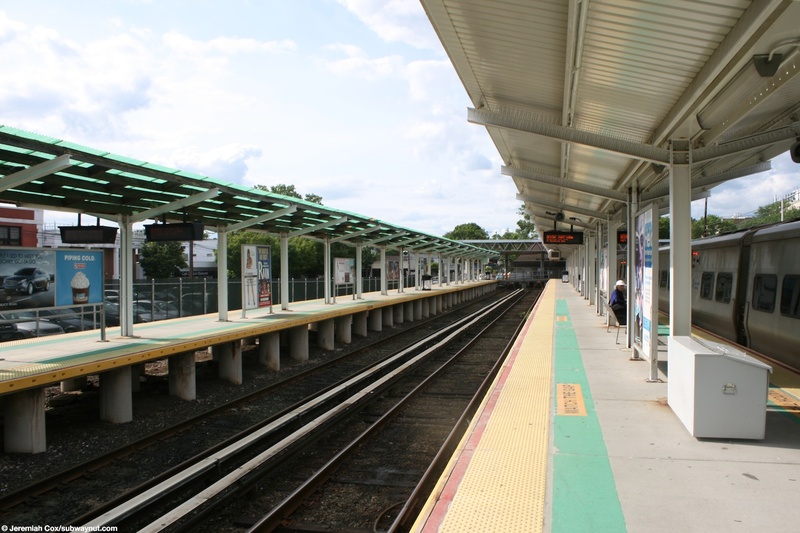 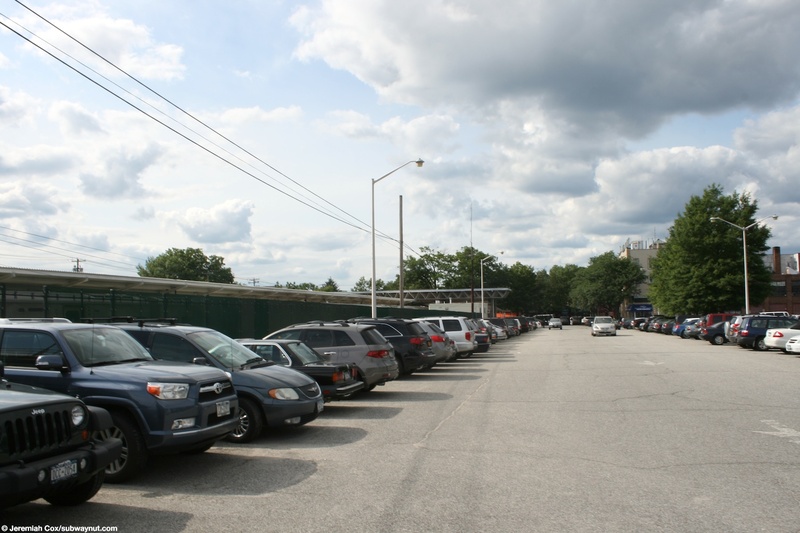 The one in the middle of the platforms leads to the eastern side of the tracks at the northern end of that parking lot and Bayles Avenue. 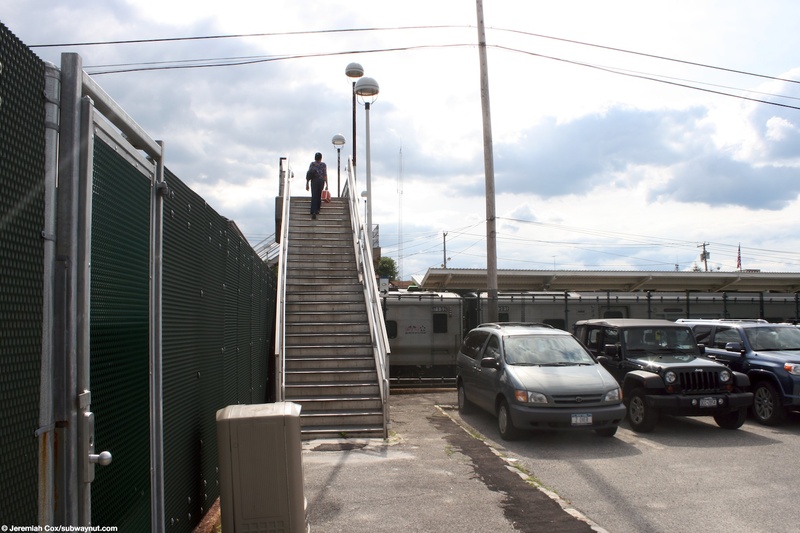 On the western side of the tracks at almost their southern end (and the end of that parking lot) the bridge leads out to Haven Ave at the end of Bayview Ave.